Transition words are used to connect ideas and show flow. 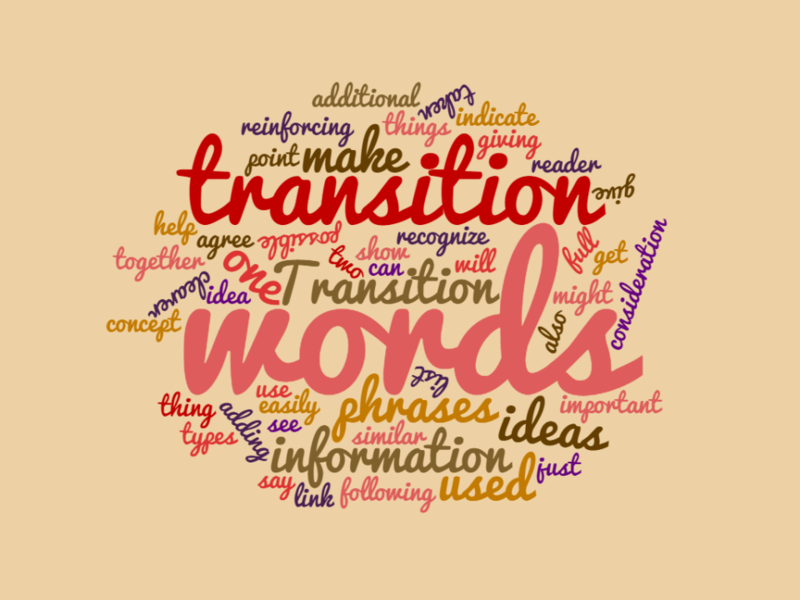 Below is a list of transition words you can use to guide your reader through your essays or stories. Click to see other grammar points here.